Rome is an amazing place for any kind of event or a special occasion. A photo shooting, a wedding, an elopement, a hen party! In fact, beautiful girls than you may see on the photos below are the future bridesmaids of the bride that is going to have her wedding. The girls decided to organise a destination hen party, as the wedding is supposed to be in Russia. They got in contact with me, so we studied together with them the look of every bridesmaid: a vintage updo hairstyle a-là Audrey Hepburn with tiara as an accessory and 1950-s look as make up. 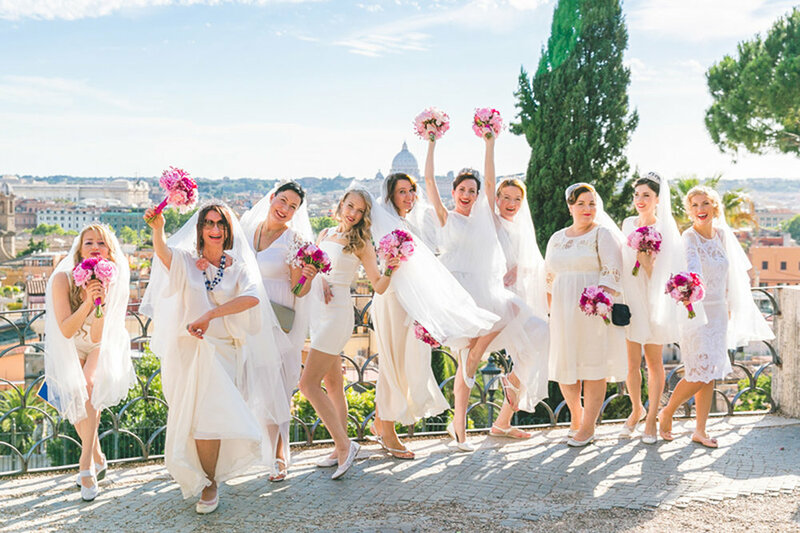 It was an extremely hot day, as in Rome the climate and the weather is always great, and in summertime it is always quite hot and humid; anyway, due to professional makeup, hairstyling skills, top quality products and primers, everything lasted all day. 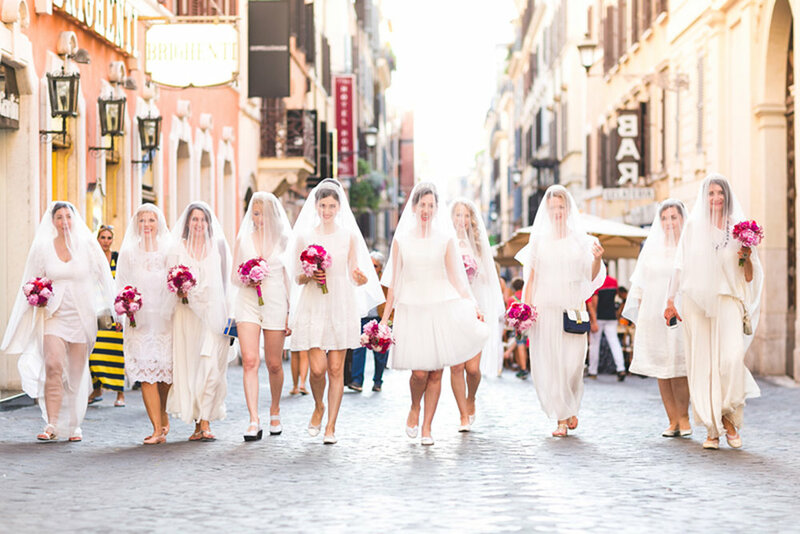 Now you can enjoy their walk around Rome thanks to Dmitry Agishev colourful photos →, as we can see the girls are having lots of fun together! In fact, it is a great idea for a hen party to celebrate it like this. If you are interested to know more, don’t hesitate to contact me! Are you looking for a makeup artist and hairstylist for your special event?